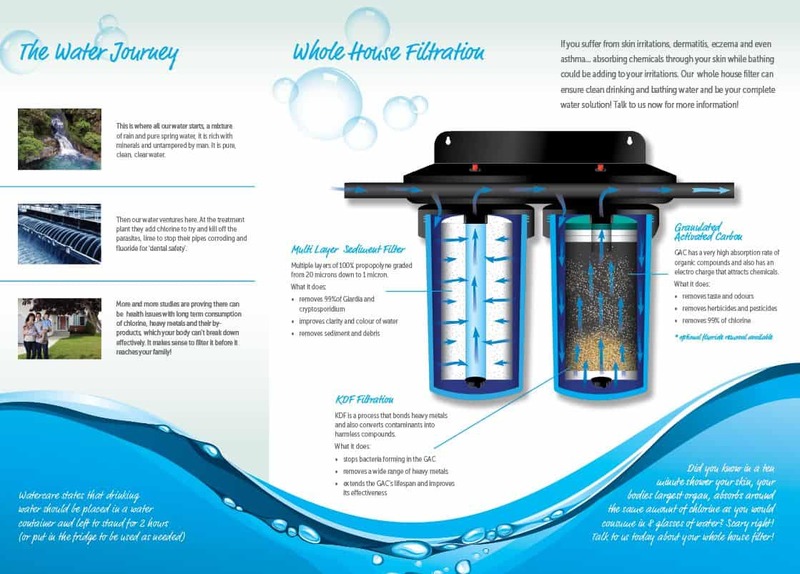 FilterFresh Whole House Systems can be used to purify your water whether you use town supply, tank water or bore water. For all systems we use the highest quality carbon blocks on the market, and can be installed by an experienced serviceman. As our bodies are made up of predominantly water, it make sense to ensure that our water is free from harmful chemicals, heavy metals, pesticides and parasites. Drinking filtered water has endless health benefits including, reduced risk of gastrointestinal disease, a stronger immune system, healthy glowing skin, reduced muscle and joint inflammation and generally greater over all health and wellbeing. Our high quality FilterFresh 1 micron KDF/GAC ﬁlter is manufactured in the USA and used in the reduction of chlorine, heavy metals, herbicides, pesticides odour and taste, leaving your water clean, clear, crisp and fresh.